Razer designed the Razer Core X around gamer needs and user feedback – and as such, they’ve tweaked their GPU formula a little bit. For starters, the Razer Core X packs a larger 650W power supply that should be able to power most graphics cards released today and in the next few years. The PSU also offers 100W of charging power over USB C PD (TB3) – enough to charge bigger laptops such as the 15-inch Macbook Pro. 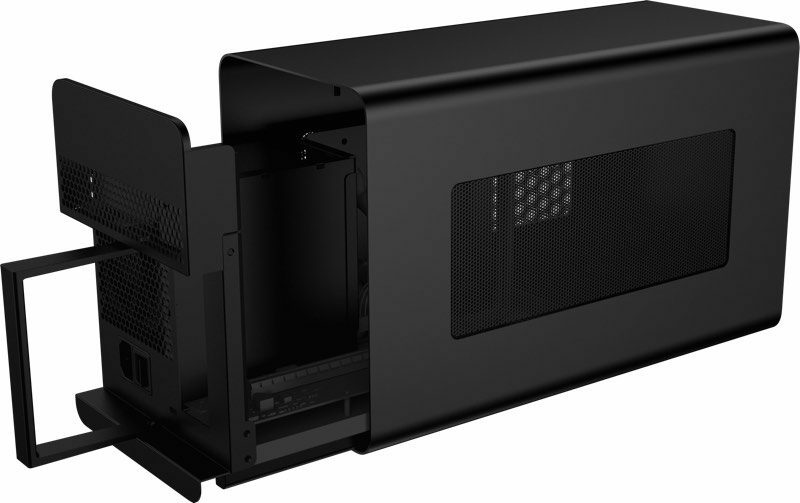 The chassis is now bigger and wider than its predecessor – large enough to fit bigger, 3-slot graphics cards. The new Razer Core X and the existing Core V2 and Core V1’s are also now compatible with all MacOS computers that offer support for Thunderbolt 3. 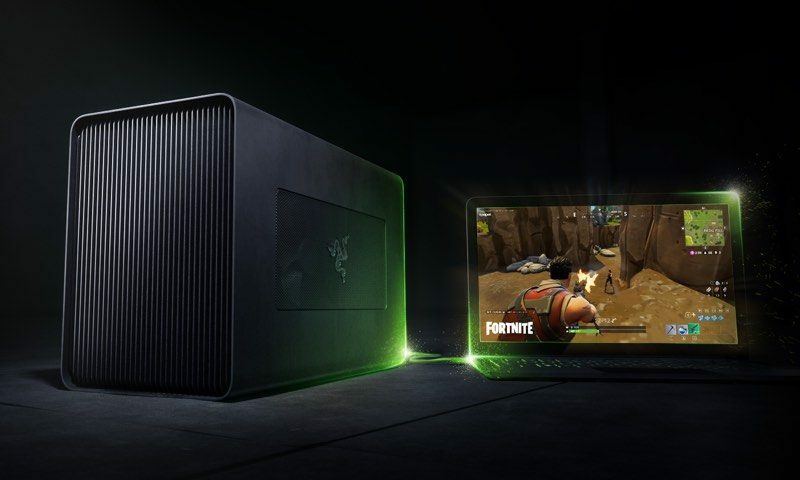 Using the Razer Core X with compatible MacOS and Windows computers is now extremely simple with new drivers from Razer – it’s literally a plug and play experience on a compatible machine, without the fuss of installing a load of scripts and endless restarting. Unfortunately, Razer had to cut back on the bells and whistles to bring down the price – and as such, it doesn’t sport any of the Razer Chroma features, or USB or ethernet ports found on its predecessor, the Razer Core V2. Still – we can’t complain. The Razer Core X goes for USD $299 – $200 cheaper than the Core V2. This is one of the more affordable eGPUs in the market for its performance. While the competing Akitio Node comes in cheaper at around $249, it only has a 400W power supply and no USB PD Charging support. The Apple-endorsed Sonnet eGFX Breakaway Box offers similar performance – a 550W PSU with 87W of USB PD charging – but costs $329. So far, we haven’t found anything else that comes close to the value offered by the Core X.